New Video. EU tour. HOBEX in CLT, W-S.
Lovely day here in NYC. Sharing a new music video with you that I made recently for the song "Across The Ocean, Mama," which is the third track on BOHEMIA. As I told my friend Chris Peeler, it was very hard to train the birds to fly backwards. You can set the youtube player at 720p for HD viewing pleasure. HOBEX is back on the prowl for two North Carolina shows in early June. We'll be playing our first club show in a long time on Thursday, June 6, at one of the first venues to ever host the band: Charlotte NC's legendary Double Door Inn. I'll be playing a short acoustic set to open the show; as I mentioned, this show will be the official NC album release party for my latest solo LP, BOHEMIA. We'll be bringing an all-star big band for the HOBEX set: bassist Andy Ware, keyboardist Doug Largent, drummer Dan Davis, saxophonist Tim Smith, and percussionist Robert Cantrell. Here's the FB event page, if you'd like to RSVP or invite friends to the show. The following day, Friday, we'll be bringing the band to Winston for the Texas Pete Twin City Rib Festival. If you know your hot sauce or you know your Dash, you already know that Texas Pete is somewhat incongruously made in Winston-Salem. Friday is Funk & Soul day at the Fest, so prepare to be grooved. Our HOBEX set will be on the Main Stage at 9:30pm, near the intersection of 6th Street and Marshall, following sets by The Deluge and The Low Counts. A European tour is coming together nicely for late June and early July... here's the initial list of dates. More info at my Schedule page, and more dates TBA. Very excited to see the friends and play the music! Also excited about traveling upstate for the Summer Hoot, a new festival organized by my friends Mike + Ruthy that will be held at the Ashokan Center in Olivebridge, NY from August 23rd to the 25th. BOHEMIA is now available on iTunes! Buy the album here. Enjoy and help support original music and the artists that create it. You can have a listen online here or here if you like. Hard copies are also in hand; I'll have copies for sale at all of my upcoming shows, or you can purchase via PayPal here. I'm including some individual song information at the end of this email. This is my fourth solo LP, and I think it might be my best sounding yet. Headed south again in May for some shows in the Carolinas. First up, I'll be playing a lil' 7pm solo show in Pawleys Island, SC at Pawleys Island Tavern (P.I.T.) on Wednesday, May 8th. Next up, visiting my hometown of Winston-Salem, NC on Friday, May 10th. i'll be playing a few favorite Dillon Fence and HOBEX tunes with house band Vagabond Saints' Society, who will be presenting a tribute to Winston-Salem's musical history as a part of the Winston-Salem Centennial Celebration. This outdoor set will be from 7 to 10pm at 6th and Cherry St. in downtown Winston. Proud to be a part of this. Back to South Cack on Saturday, May 11th, where I'll be playing a 3pm set with HOBEX for Columbia, SC's Rosewood Crawfish Festival. Big Head Todd and the Monsters and the Blue Dogs also perform. Bassist Andy Ware and I will be bringing an all-star cast of musicians for this set – Tim Smith on Sax, Dan Davis on Drums, Doug Largent on Organ, and Robert Cantrell on Percussion. HOBEX convenes again for dates in early June. On Thursday, June 6th, we'll warm it up with a club date at Charlotte, NC's legendary Double Door Inn. On Friday, June 7th, we'll be playing a set at the Twin City Rib Festival in Winston-Salem, NC. A summer EU tour to support Bohemia is starting to come together for late June and early July. I have some dates in The Netherlands and the UK booked so far. More dates to be announced soon! Also, just added the Summer Hoot to my schedule. This is a new festival organized by my friends Mike + Ruthy that will be held at the Ashokan Center in Olivebridge, NY from August 23rd to the 25th. Rubina and I had a wonderful time at Shakori Hills Grassroots Festival of Music and Dance in April. Got to see many friends and play a whole lot of music. Thanks to Tim Smith, Lizzy Ross, Abdias Ernesto Garcia, Will Ridenour, Jay Starling and members of Big Fat Gap (Miles Andrews, Jamie Griggs, John Garris) for sitting in on my solo set Friday evening. We had a wonderful crowd despite the rain. Got to sit in with Cyril Lance on Thursday and Big Fat Gap on Saturday, and the Sunday morning Songwriters' Circle was a lovely collection of writers and performers. It was a real pleasure to play with Donna the Buffalo and Friends on Sunday night and close out the festival. Wish every weekend were that much fun. Here's a photo gallery from FB, if you'd like to peruse. 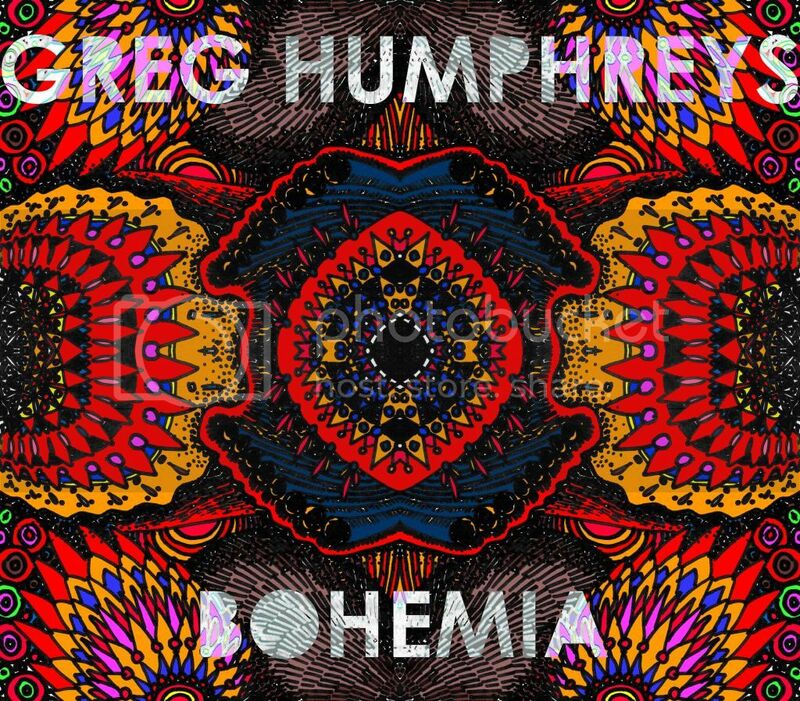 Bohemia is now available here on iTunes and is also streaming here now if you'd like to have a listen. Across The Ocean, Mama – About saying goodbye, forever. We all have to.